Happy spring! My apologies for missing posting blogs for a couple of months, and thanks to those of you who noticed! I had too much going on but have been wanting to get back to sharing what I have been learning about gardening in our region. I attended a talk by Chuck Striplen, a scientist with the San Francisco Estuary Institute. 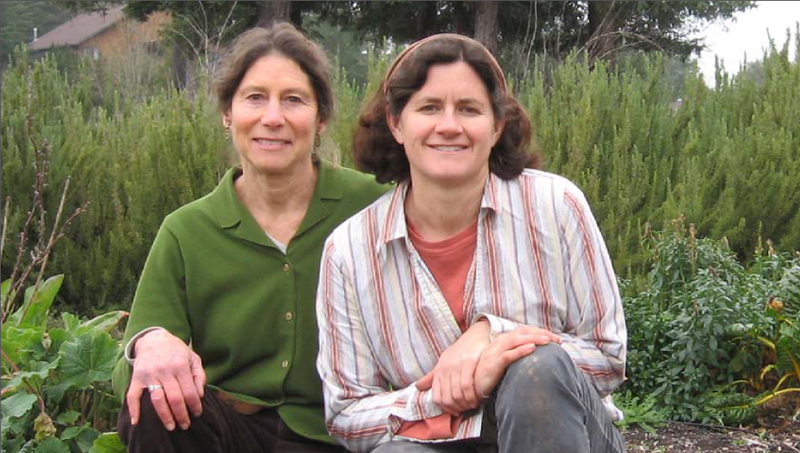 This organization is part non-profit and part a regional agency dedicated to “promoting healthy aquatic ecosystems, studying the past to shape the present and future of California’s watersheds”, and works on “clean water, resilient landscapes and environmental ‘informatics.’” Chuck’s work specifically is on the historical ecology of the Laguna de Santa Rosa. They have done extensive research and data management to come up with fascinating maps showing reconstructions of all of California’s waterways over the ages. They have combined all historic surveys, habitat and geologic information to create these maps. He showed, for example, the historic pathways of Mark West Creek, which was a major tributary of the Russian River. We could see how much it has moved south, yet there are still remnants of its old creek bed in our landscape today. Why is this important? The times they are a changin’. Although climate change, drought and over use seem to be changing our water situation irreversibly, knowing how things were in the past can be extremely helpful in planning solutions to today’s problems. We can restore historic flood plains where water will once again infiltrate to ground water. We can spend mitigation funds more wisely if we know where a specific habitat existed in the past. And as a gardener in the Santa Rosa Plain, I have greater understanding of why the sandy loam where I live is has been bone dry this month whereas my neighbor’s heavy clay soil is damp. The Santa Rosa Plain was a “lumpy” landscape of hillocks and vernal pools along with many creeks, some lakes and higher plateaus. We would be wise to work with what Mother Nature has provided, as she is likely to prevail in the long run. On a different aspect of our changing times, I’m pretty sure that the look-alike of a relatively new pest that I’ve been reading about with trepidation appeared in my garden in the last couple of weeks. I think the black and red bugs that have been sucking the leaves of my tree collards are harlequin bugs. 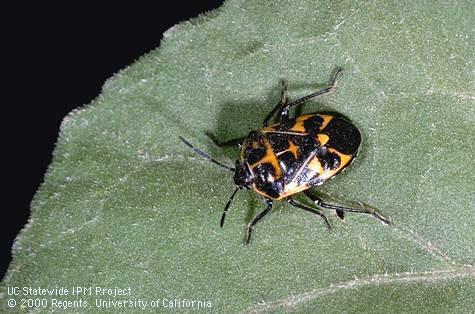 They are slightly larger than the new and dreaded bagrada bug, which is doing major damage to crops in the cabbage family around California. Both bugs act similarly and are equally hard to control. In a garden, frequent close observation and hand picking will keep numbers and damage down. In a farm situation, row covers will be needed to keep them off the plants. Keep a close look out for these pests and don’t allow them to get out of control. Harlequin bug identification and How to manage. I’m extremely grateful that some blessed rain is falling at this moment – hallelujah! I hope that it is enough to soak in a bit. Later this week it is supposed to be back into the 80s. This year has brought record warmth as well as drought, so we are already seeing another nasty pest – mosquitoes. We all need to be even better stewards of our immediate environment these days. In addition to being even more careful with our water use, eliminating places for mosquitoes to breed, watching for new pests, making compost and taking care of our soil – as well as each other – are our higher callings in these times of change. Thank you rain; please come again soon!